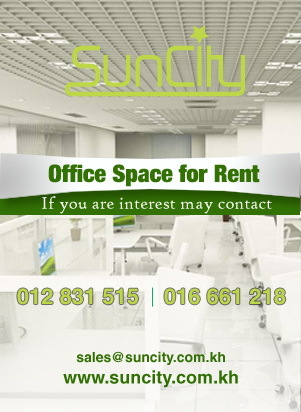 If you are looking for an office space, SunCity can offer an affordable luxury and convenient workplace. Our building is located in centre area that can be easily accessed. SunCity is conveniently located at the heart of Cambodia Capital, Phnom Penh, at the cornered street of the most prominent housing estate area – Boueng Keng Kang I (BKKI). The peaceful, clean and secured BKK I area is the home of most high-end residential and apartments.